Gift cards for The Hot Yoga Spot are available in any amount and can be purchased in 2 easy ways. Click this link to visit our online store and buy your gift certificate. The customized certificate is available to print or email instantly. Visit The Hot Yoga Spot 15 minutes before the start of any class to buy a gift in person. The studio door is locked when class is not in session so check or contact us to confirm when you arrive. 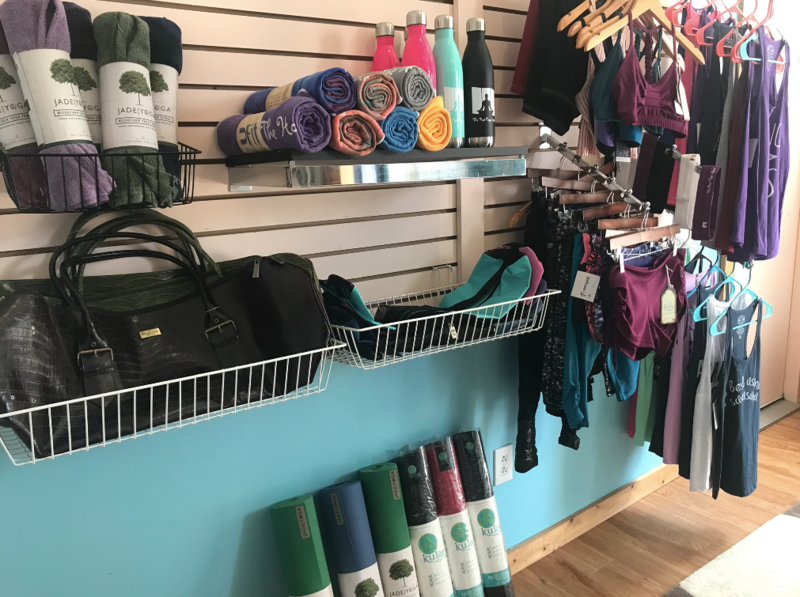 Our boutique has an assortment of quality apparel and yoga accessories that are both cute and comfortable. Some popular retail items include Jade yoga mats, UFIT towels, branded tanks, water bottles, headbands and more. We also offer nutritious items to fuel your body after class like RX Bars and Cold Pressed Juice.